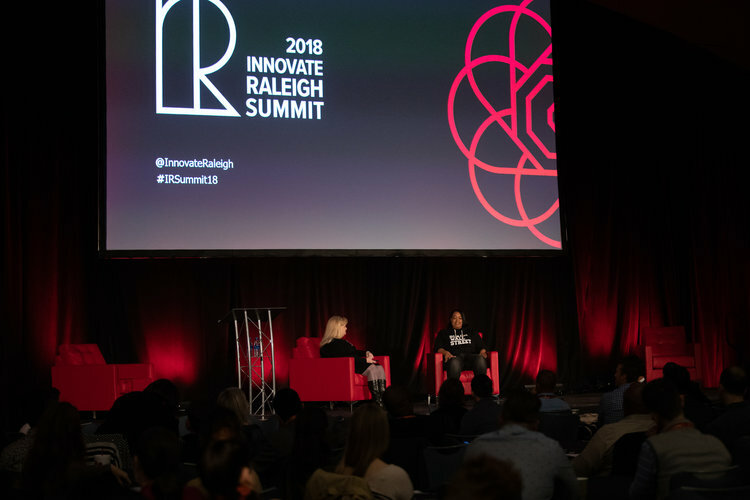 The Innovate Raleigh Summit, a convening of entrepreneurs and business people in the Triangle area, took place at the Raleigh Convention Center in November 2018. A recap of the event, published by the Innovate Raleigh team, can be found here. 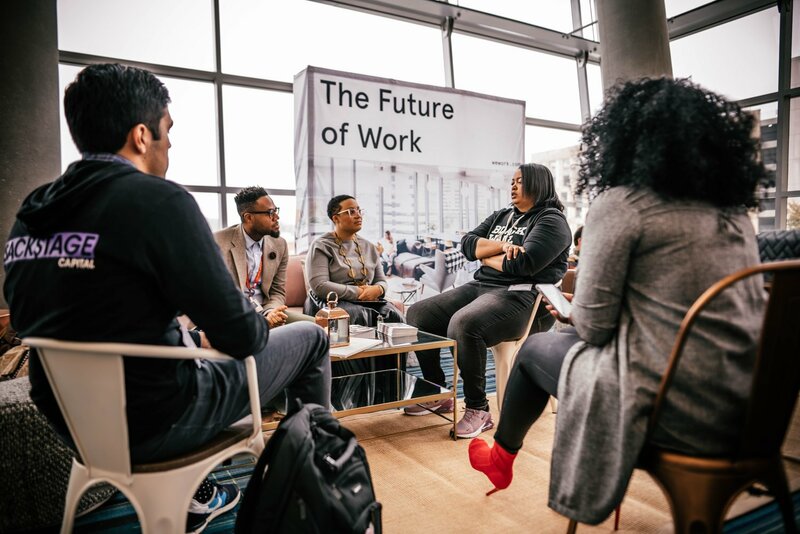 The highlight of the summit was the keynote conversation with venture capitalist Arlan Hamilton, founder and managing director of Backstage Capital. Hamilton engaged local entrepreneurs, business leaders and investors in dialogue about the future of the Triangle as a hub for entrepreneurship. Hamilton praised the spirit of the community, saying, “What I like here is that it feels like everybody has a hope to them, that’s very engaging and contagious.” She went on to applaud the efforts of the community to secure future funding, bolster the talent pipeline, and foster a vibrant and inclusive community. “The [Triangle] region… you have so many resources. It’s because of your different colleges and universities, it’s because of the different successful founders who come back and pay it forward. That’s really important and can’t be overstated,” she added. Hamilton also spoke about her background and future plans for Backstage Capital, her multi-million-dollar seed-stage investment fund. She started Backstage in 2015 with no degree or professional network, all while struggling with homelessness. “There was never a time that it ran through my mind that I could never have a multimillion-dollar company when I was on food stamps. It was never in my mind that it was impossible… I knew I would get to where I wanted to go because I wouldn’t have it any other way,” Hamilton said. Through persistence, her dream of creating a fund dedicated to investing in high-potential founders who are of color, women, or LGBTQ, came to fruition and is now backed by top venture capitalists like Marc Andreessen of Andreessen Horowitz, Stewart Butterfield of Slack, and Chris Sacca of Lowercase Capital. Since its launch, Backstage has made over 100 investments in companies with diverse founders in a variety of industries from beauty to business analytics. At the summit, Hamilton confirmed the launch of the “It’s About Damn Time Fund”, a $36 million fund to continue to fulfill her mission. In a world where 90 percent of venture funding goes to white men, Hamilton hopes that through her fund, she can help make the field more equitable. “We are seeing the trend; it’s going in that direction where there is more parity, there will be more equality, it will make more sense, and it won’t look and feel more strange – just like the country itself. The country can change, and the tech world can change,” she stated about investing in diversely-led companies. Hamilton has been deemed a “venture catalyst” by Fast Company for pushing for diversity in the startup world and investing in companies run by “underestimated” populations. “People like to use the word underrepresented, underprivileged, under-served, and those are all accurate descriptions because that is literally what minorities would be, but flip it and call it what it really is, which is underestimated,” she told the crowd. To inquire about booking a keynote speaker for your next event, please contact us.